The heat is on you, Turkey! 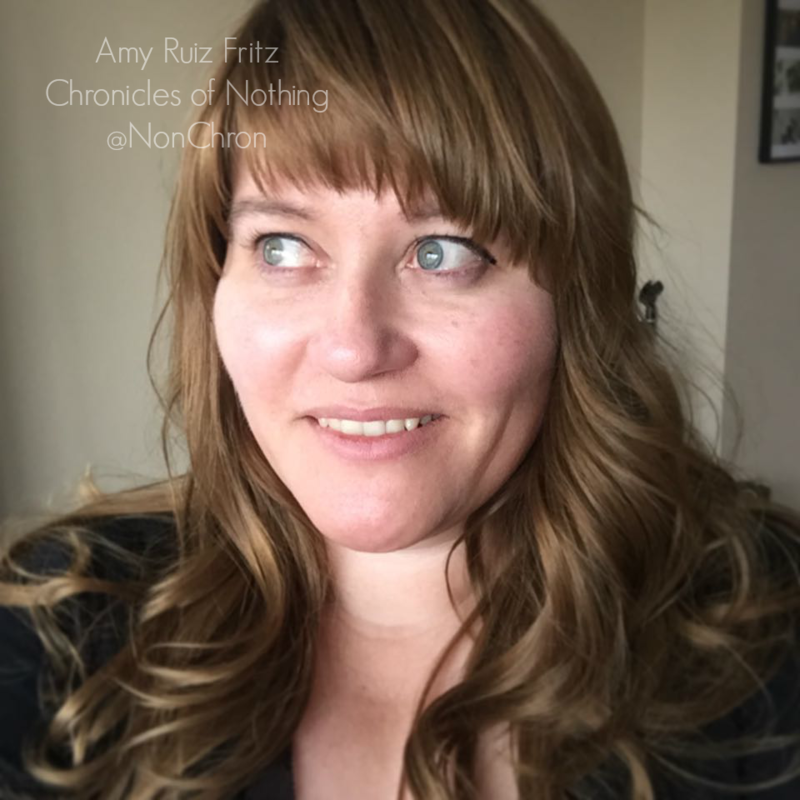 Amy Ruiz Fritz November 15, 2011 November 5, 2014 No Comments on The heat is on you, Turkey! This evening I saw a Safeway commercial advertising a new iPhone app for Thanksgiving. Intrigued as to what cooking advice they might be giving and how it would measure up to my mom’s homespun recipe for roasting the bird, I downloaded it to compare and contrast. First I was appalled that they misspelled oven (and capitalized turkey). 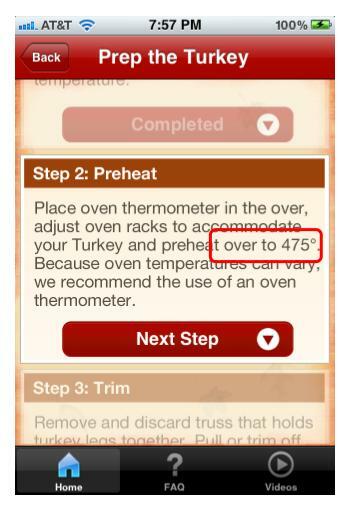 But as I was reading the directions aloud to my mom, she became appalled at the suggested oven (or is that over) temperature. 475 degrees is practically broiling! 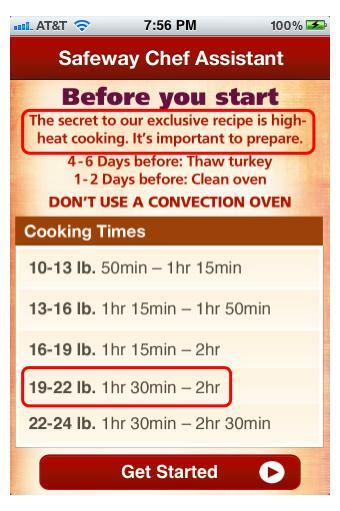 Plus, the recipe said that it would only take 90 minutes to cook a 20 pound turkey. Um, in the 30 some odd Thanksgivings I can remember, it always took at least 4 hours to cook the turkey. Help me out here foodies, isn’t roasting supposed to be done slowly? Because it’s the Hoyle of turkey, I decided to see if there was a Butterball app that would counter the Safeway recipe. Nope. You still need to call the hotline like it’s 1991 apparently. So, I looked at AllRecipes.com app. I mean they have all the recipes, so I better find at least one for roast turkey. I found three. 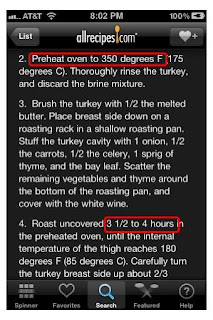 All of them said to cook the bird for a minimum of 4 hours ranging in temperatures from 325 to 375. 100 degrees less than Safeway. 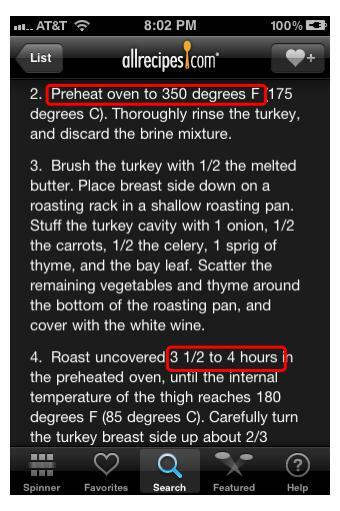 I really hope someone at Safeway updates that app before a poor unsuspecting nerd like me tries to roast a turkey 2.0 style. No one likes a burned turkey. It doesn’t go well with the Stove Top Stuffing. Online Dating Chronicles: In your face, Match.com!